Anybody who has visited ‘the Met’ will know that it is impossible to summarize it in a single blog post. The place is humongous and I spent a lot of my time walking in circles.The Museum traces its roots back to 1866 when a group of Americans agreed to establish a national museum of art. The Museum opened in its current location on 5th Avenue in 1880 and provides more information on its own history via its website. What I found interesting about the Met is that it defines itself as a museum of art in its mission statement but has large holdings of what might be termed archaeological material. As the work of Prof. Christopher Whitehead has illustrated the line between these kinds of objects is fuzzy and has an interesting place in the history of the development of academic disciplines in the 19th century. In the Met archaeological objects are displayed largely as pieces of decorative art. The visitor is encouraged to appreciate their aesthetic values over their social or economic function. However, the museum also uses it’s own architecture to create room sets which provide context for individual items. 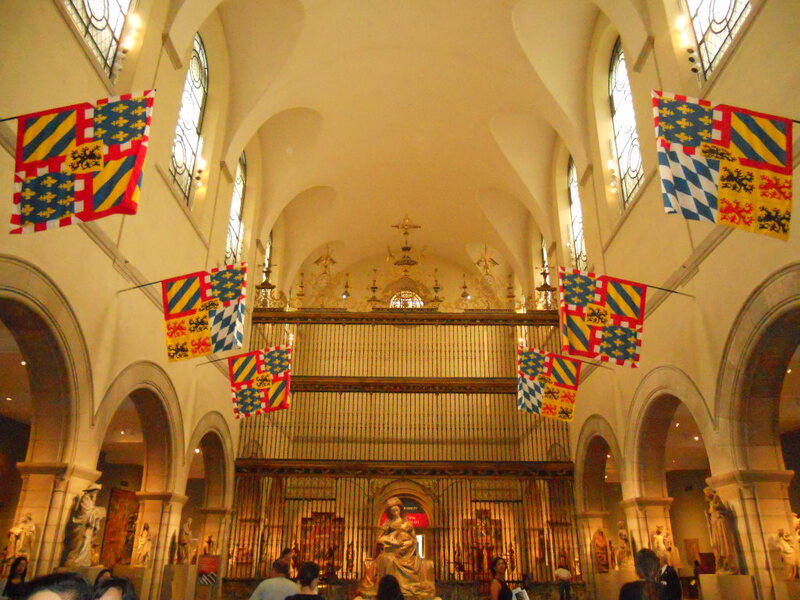 This works particularly well with the medieval collections in highlighting their function within larger religious buildings. After an hour of aimless wandering I made a decision to seek out material which I couldn’t see in Europe. After visiting a haunting photographic exhibition Photography and the American Civil War I took about half an hour to find the American galleries. 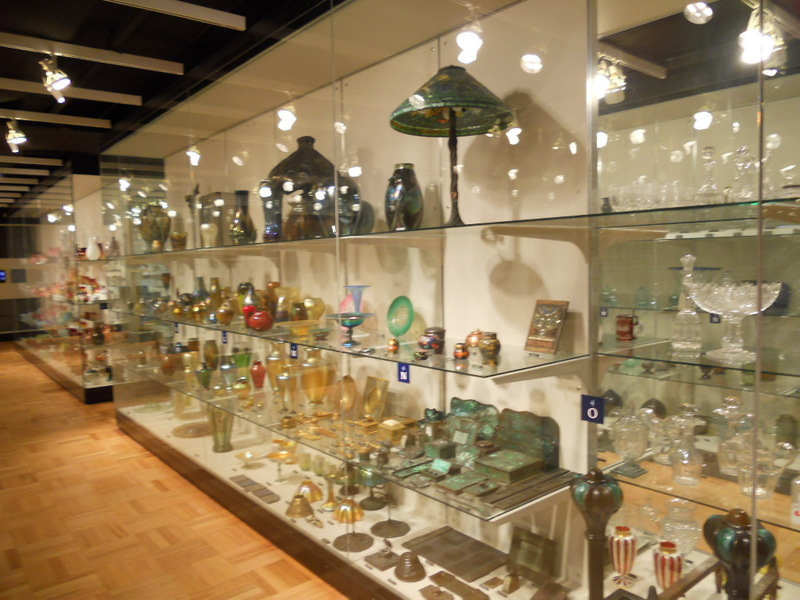 Unfortunately I was there a few months too early to see a new permanent gallery devoted to the work of Louis Comfort Tiffany but I did get to see some examples of his work in the current displays. 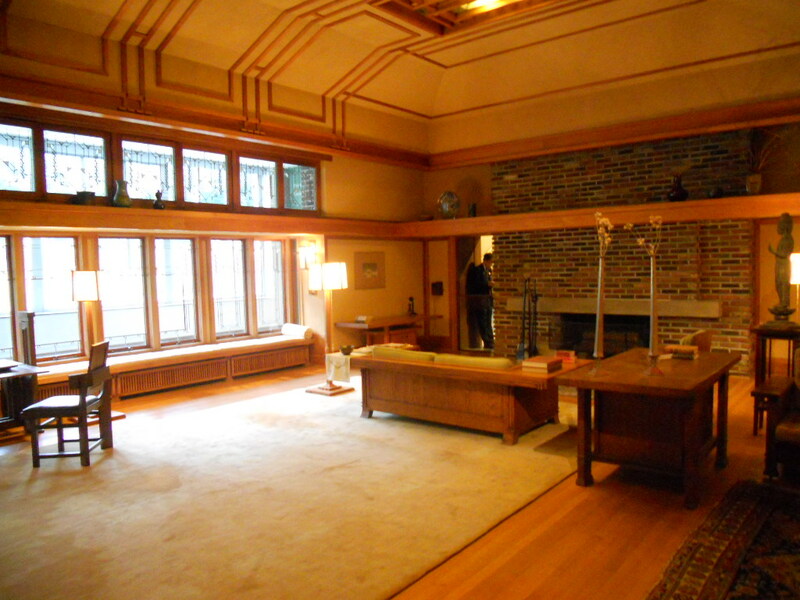 Again, there were room sets, including a Frank Lloyd Wright room which I would have happily moved into. Being a museum geek, what really impressed me was the visible storage which was accompanied by computer screens where one could type in the location of an object and get more information. It tested my jet lag diminished memory to get the numbers to the machine, but it was a great place to explore. They also had a wall decorated in tiny images of all of the gallery’s acquisitions drawn from their database. It created a striking visual effect and could be explored while you loitered on the benches in that space. This might seem like an extremely partial account of such a world famous museum. A museum where you can get hand rolled sushi in the cafeteria and where every object is recognisable from a text book.However, visiting a museum with such vast collections can be overwhelming and these smaller spaces for exploration and reflection are a useful antidote.